Song for a Fifth Child,commonly known as Babies Don't Keep, was only one part of the life journey of Ruth Hulburt Hamilton. Ruth was the mother of four children aged 11,9,7 and 5 when her fifth child, Jane, was born. “The children were all older when Jane was born and they would rush home to see her and hold her. Since there were five years between my next youngest and Jane, I had a bit more quiet time with her.” Ruth recalls. 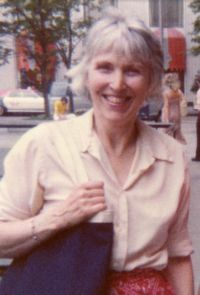 Ruth was born in Kirksville, Missouri in 1921 and she lived most of her life in Oak Park, Illinois. She married when she was 23 and became a mother for the first time at 25. 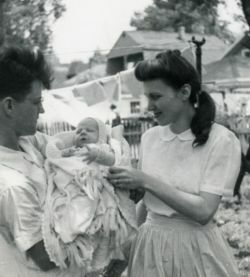 Her poem, Song for a Fifth Child, was published in Ladies Home Journal in 1958 and has found a treasured place in the hearts of mothers for generations and today it is widely known as Babies Don't Keep. It honors the everyday efforts of motherhood. 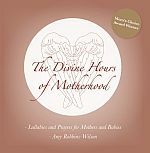 It honors the sacred in the mundane and the cultural tensions that pull at us all as mothers. Bills, errands and housework will always be there so we should savor the precious, short time, we are given with our babies. Ruth’s poem has often been misquoted. It is published here in its entirety with permission from the author. Enjoy. Mother, oh mother, come shake out your cloth! She's up in the nursery, blissfully rocking! But children grow up, as I've learned to my sorrow. I'm rocking my baby. Babies don't keep. Thank you Ruth Hulburt Hamilton for affirming our priorities as mothers and reminding all of us to put our babies first and let the rest go.